Early this morning, Billabong and Hurley announced the collaboration for the 2012 Australian Open of Surfing to be held at Manly Beach. Whilst the event won’t be a part of the ASP Dream tour, the six star event is likely to start off the 2012 season before the Quiksilver Pro Gold Coast, and the Rip Curl Pro Bells Beach get underway. 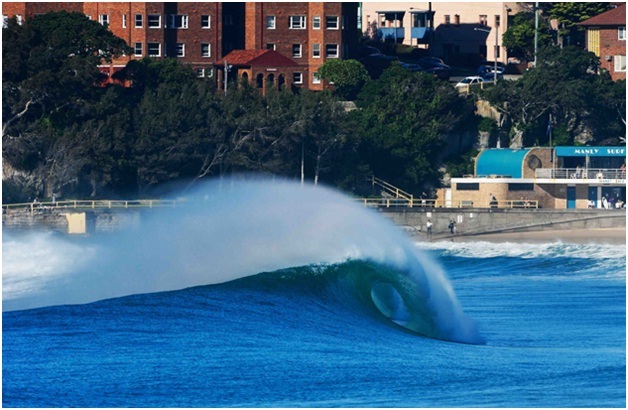 With Quiksilver and Rip Curl currently the only two surf icons hosting the only two available Dream Tour events in Australia, it appears to be a well though alliance with Billabong and Hurley to host the third event. Together, the pair are offering a $500,000 total prize pool for the event, making it the second richest event on tour. The Australian coastline offers many venues fit for a surfing contest, with the Breaka Burleigh Pro on the Gold Coast and the Burton Toyota Pro at Meriwether, New South Wales, both four star events. Also included in the spectacular of Australian surfing is the specialty events; the Boost Mobile Surf Show, held at Bondi, and earlier this year the Telstra Drug Aware Pro, in Western Australia. Not only is the event a great way to boost the Australian surfing industry, it’s another way for local fans to watch professional surfing at close hand. Beats watching via a live internet feed. The Australian events keep on rolling in. Late last month, the ASP announced that Kangaroo Island, South Australia, will be hosting a six star event from the 4th till the 9thNovember, and will be presented by Sea Link. Not only is the South Australian event big news, but a wildcard entry has been given to 1999 World Champion Mark “Occy” Occhilupo. After wiping out on Seven’s Dancing with the Stars, Occy now has the opportunity to show off his skills one more time, to a hugely anticipated crowd. Also set to be headlining the event is local South Australian surfer Dion Atkinson. “I’ve never had an event close to home, so it’s going to be great to have the hometown support.” Atkinson is currently ranked 45th on the men’s ranking table, and will be looking to elevate his position with the support from his home crowd.